Our American culture is moving closer to taking holistic values seriously. I’m noticing it in my practice very slowly. One significant thing to get used to with most holistic practitioners is their awareness and use of Qi in their treatments. Moving Qi is actually the foundation of my practice. Qi is blood and is one with the blood. The blood delivers the vital Qi all over the body. Your blood is not “just” blood, it’s life force and cannot be duplicated by science. They’re not God. Practitioners that are educated in moving Qi or Ki are Reiki practitioners, OMDs, (Oriental Medical Doctors), Chi Kung practitioners, Shiatsu practitioners and other various ones that may hail from different cultures that call the Qi, Prana or Shakti. The understanding of Qi is ancient and is the origin of healing and medicine. The massage was one of the first natural treatments ever since human mothers have been giving birth! Mothers massaged their infants. I love that. The American culture ascertains health by the appearance of a person on the outside. Even the M.D.’s do it, being human beings. 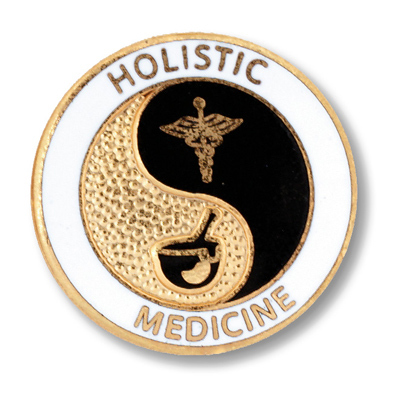 They are biased as well as other holistic practitioners. This is a huge mistake and I exhort my fellow practitioners to dig deeper. One person may present as thin, muscular and lean. The assumption is that they are healthy yet we all know of people who looked like they were in top shape and dropped over dead, probably of a heart attack. The heart chakra processes feelings. If your heart is not open you are in big health danger yet no doctor will know. Only Qi practitioners will know because we can feel it! No one checked their internal Qi. I’m not talking about lab tests that check blood levels for certain things. Practitioners like me that can feel vital energy in the body and see it first pick up on internal Qi and will tell you. I did it yesterday with a patient who was extremely thin and fit, albeit dehydrated. His grounding Qi was extremely out of alignment, he talked too much and too fast and was very revved up despite the fact that he used medical marijuana. He wasn’t grounded. When I did Reiki on him, he went to sleep and when he talked he sounded like he was drunk. Of course, he wasn’t, but this is a good thing. The combination of deep tissue work releasing his endogenous opioids and the Reiki putting him down deeper was very healing for him. Then I could get his grounding Qi started. It’s by no means done because his conscious mind hasn’t figured it out yet. We’ve just started. His internal Qi is not healthy. His intellectual mind dominates his feelings and they are repressed. We talked about it a little bit but I noticed all of that talking to him. As I worked on him it improved. External Qi that is lean, muscle dominant, toned and hard Qi covering internal Qi that is weak. Internal Qi is controlled by Mind habits, thought, feelings, love, breathing meditation and rhythm. I’ve come upon other patients that have very strong internal Qi and they feel very warm, loving, relaxed and high energy yet anyone looking at them would say they are overweight or out of shape. Be careful! Their external Qi is not dense but for them at that moment, that may be good. Some people are very active and have a strong heart and good BP and are plump. I’m not advocating plump as the fat layers on the body have been proven to create their own hormonal activity which is not good for the other tissues of the body. Lean and toned is healthier, but NOT at the expense of the internal Qi. I asked my white coat doc one time about people who compete as bodybuilders and she said, “Oh no, that is very unhealthy.” I agree with her. The hypertonic patients are almost always trying to appear strong when internally they feel very weak, depressed, or emotional. I see it all the time. A balance in strong and flowing internal and external Qi is ideal. The best movement for that is walking. Those iliopsoas muscles in the deep inner pelvis can be worked mostly by walking and no other way. They connect your thorax to your lower body to keep you moving on the planet. I am a writer and a thinker so this is my number one health challenge. When its warm out, I’ll walk 3 miles but if it’s cold out, I’ll stay in and only do muscle-strengthening because I hate gyms. I have to solve this problem because we all need to walk a lot all year. Then combine that workout with a still, meditative, breathing routine where you still your mind in a quiet area, even for just 15 minutes is beneficial. That hones your internal Qi.